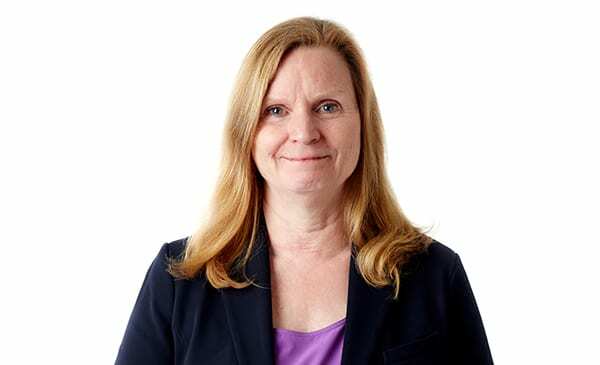 Claire Leon, a retired Boeing executive with more than 30 years of aerospace industry experience, will be the new director of Loyola Marymount University’s graduate program in Systems Engineering. Among her priorities are to update the curriculum to address industry’s most pressing issues, and to provide students greater flexibility with customizing the program to meet their individual needs. Leon comes to LMU from the United States Air Force, where she was a member of the Senior Executive Service, serving as director of Launch Enterprise. She was responsible for a budget exceeding $2 billion and a workforce of more than 200 employees and 500 support contractors. Prior to that, Leon retired from Boeing as vice president of National Programs. Leon began her career in propulsion at Hughes Space and Communications Group, which was later acquired by Boeing. Early in her career, Leon was asked to lead a team to create a systems engineering processing manual for Hughes at a time when the literature was scant. “That project—going through the process of describing systems engineering—ended up being core to who I am, and my understanding of systems engineering, programs, companies and how they work,” she said. Leon gained experience across the company in systems test, systems engineering, line management and program management through positions of increasing responsibility. Leon also took time to help other women in her company by developing a women’s mentoring program, and serving as an Executive Champion for Boeing’s Women In Leadership organization. “When you’re working in a male-dominated field, it’s helpful to have an affinity group to share experiences and prevent you from feeling isolated,” Leon said. During her career in aerospace, Leon was honored with a number of awards, including an Honorable Mention for Women in Technology from Avionics Magazine, Boeing’s Amelia Earhart Award for “Woman of Leadership”, and an Outstanding Achievement Award from Women in Aerospace. Leon is no stranger to LMU. Beginning in 2006, she was a part-time lecturer for systems engineering courses in Spacecraft Design and Advanced Program Leadership. Leon earned her bachelor’s degree in mechanical engineering from George Washington University. She has a master’s degree in management from University of Redlands; and an MBA from UCLA. She earned her Ph.D. from the Drucker School of Business at Claremont Graduate University.